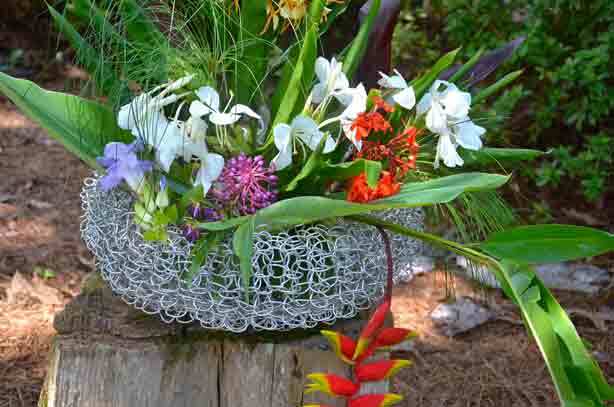 Designer Ruth Fore artistically crochets wire into stunning one of a kind chairs, planters, and garden sculptures. 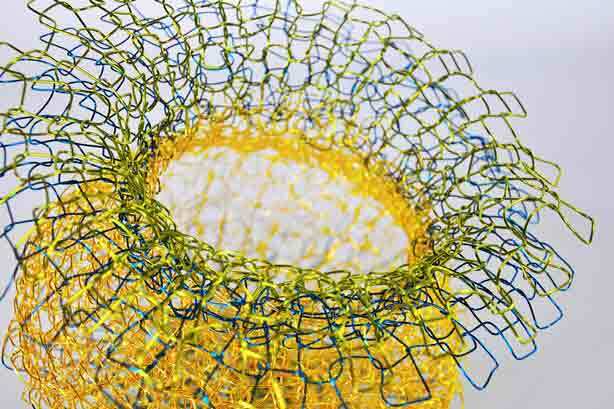 In a process similar to biomimicry, where design emulates patterns in nature, Fore examines the characteristics and possibilities of raw materials, handcrafting unique pieces that visually play with form, structure, connection, and color. 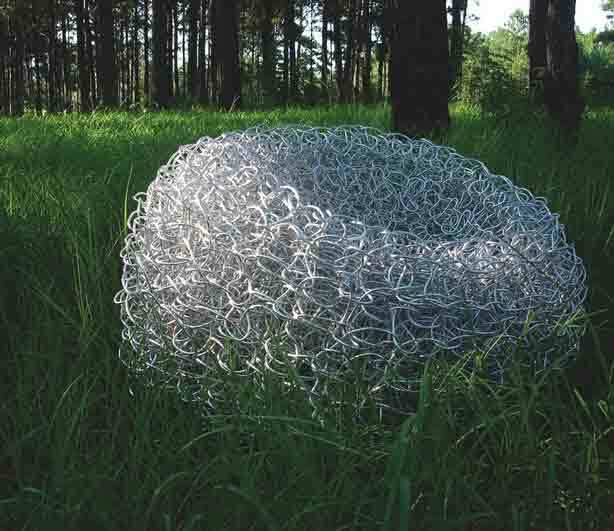 She uses wire because it is soft and flexible yet with it she can produce stable structures. 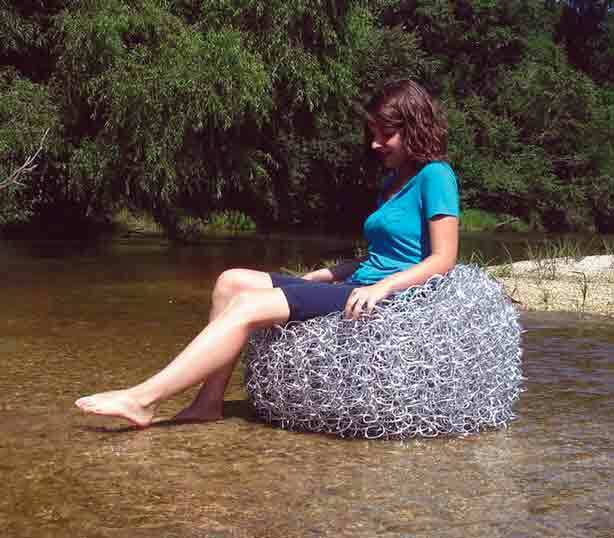 The result of experiments with various crochet stitches–three-dimensional, aluminum loops transitioning from small to large gauges–her “Crochet Crochet” chair can support a significant amount of weight. 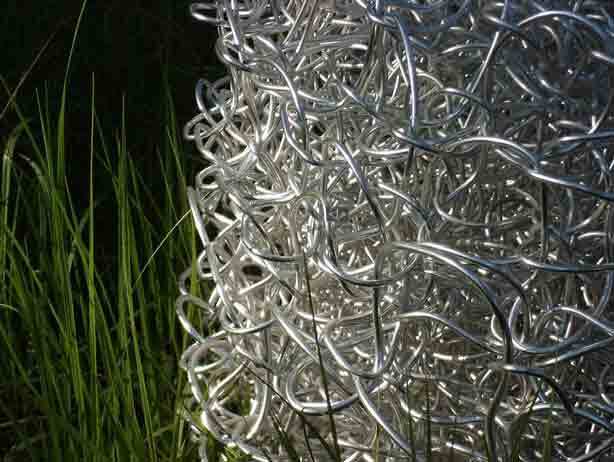 Fore uses more than 2000 feet of wire for one chair which she then anodizes to render its overall structure even more stable. 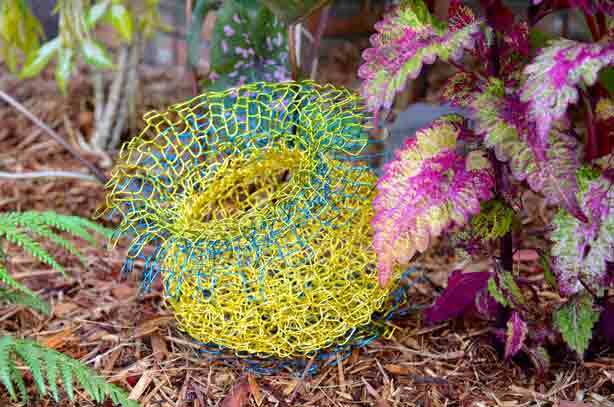 For the moment, “Crochet Crochet” is only available on commission, but she plans to offer them online next fall. 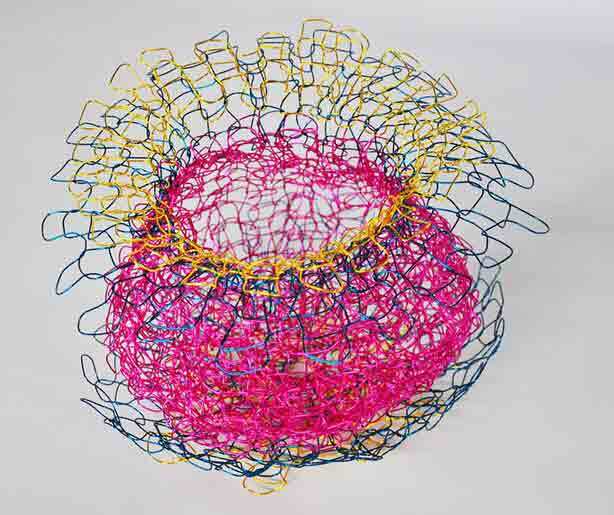 After working for three months perfecting her chair, Fore now creates smaller more affordable, yet equally intricate pieces in which she hooks combinations of brightly hued wires. 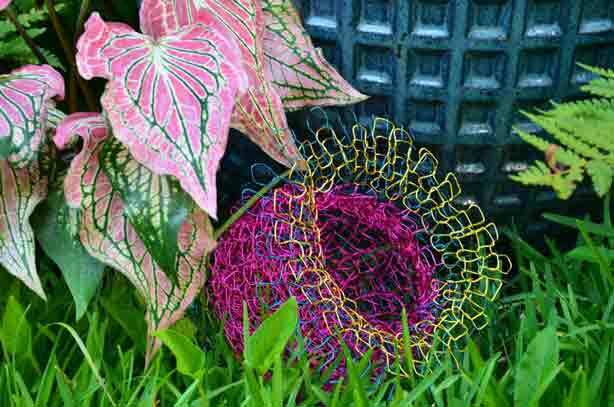 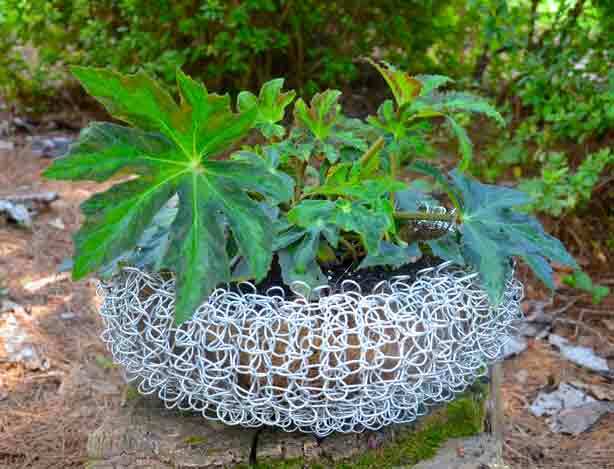 In her organic designs, she hooks aluminum and copper wire into patterns of open loops creating a symbiotic relationship with the plants, as they grow in, through, and out of her crocheted pieces.